Several years ago I started to embark on a transition in my own career and business. And I was feeling terrified. I woke up every day with a knot in my stomach for weeks. Then I realized it had been awhile since I did any transitioning. And over the years, I’ve learned that something is wrong when you move ahead without fear. You can feel really brave and come across as confident. But in fact, when you’re taking a big risk, you ought to feel some fear. Of course no principle applies 100% of the time. Sometimes you just know you’re on track and you forge ahead. But I believe that fear ultimately will be your friend. If you’re afraid you’ll call around to everyone you know to get information. You’ll haunt the search engines, seeking every piece of information you can find. You’ll consider the downsides as well as the benefits – looking at them squarely and asking the tough questions. Several years ago my friend Julie bought her first home. We were all surprised: she just jumped right in, even though the market was tight, her job was not secure and she didn’t know anything about real estate. In her case, she made a bad decision, choosing a neighborhood that was wrong for her and a home that didn’t have the qualities she needed. She didn’t know what questions to ask and she chose a real estate agent who wanted to make a quick sale. Now she’s taking time to explore solutions – slowly – and she’s admitting she’s terrified. My friend James chose to leave his job to travel for a year. He was determined to do it, despite the nay-saying friends who warned him he’d never work again, lose thousands of dollars, catch a fatal disease…you get the idea. James worked with the fear instead of burying it. He talked to experts and career coaches. He researched sabbaticals and talked to others who had taken time off. He learned (among other things) that he should keep a blog and stay in touch with folks in his industry. He set specific goals to accomplish and created a fall-back plan in case he returned to a recession or (worst case) his whole industry had been replaced. Some coaches tell you not to make a backup plan because you acknowledge the possibility of failure. I have found just the opposite. People with backup plans usually don’t use them. But you need to learn your own fear patterns. Some people need to leap without a net. It worked – for her. She has become a star in her new industry. But some people would be paralyzed by fear. Others would feel so desperate they’d scare off their clients. Still others get rattled when their salaries go away; I’ve had clients who couldn’t make phone calls because they chose a minimum-budget calling plan and ran out of minutes. You can’t run a business without a phone. Fear ==> paralysis ==> catastrophizing ==> more fear ==> do nothing ==> more fear ==> hide in the closet…. 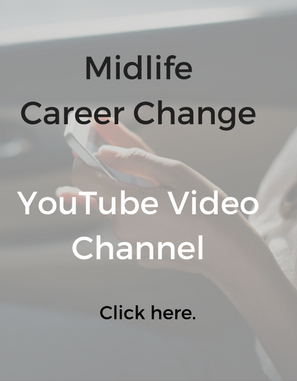 You’re ready to make a big career change. You really want to get going. But you’re held back by fear. You don’t haunt the search engines. You do nothing. (1) Recognize the consequences of doing nothing. You really hate your job and you’re long overdue for a change. But you like the security of a pay check. Maybe you have family (and dogs) depending on you. Hang on long enough and you’ll probably start sabotaging your own security. You’ll find yourself making dumb mistakes, missing deadlines, losing important documents and more. Some people handle this sort of thing better than others. Some live for 20 years with jobs they despise with no outward appearance of problems. My theory is (a) they just don’t see what’s going on — doctor visits, anti-depressants, stomach trouble, family grief, or more; (b) they don’t hate their job as much as they say; or (c) they were born with a certain temperament with high tolerance for frustration. (2) Do some reality testing. “What’s the worst that can happen?” is a good first question. Once you have the answer you can often create plans to cover your worst case scenario. Here’s where a career consultant can help: not someone who administers a handful of tests, but someone who knows the ins and outs of careers. (3) Take a small 10-minute step. What should you do? It doesn’t matter. Take just 10 minutes to deal with your frustration. Action means getting off the couch. It doesn’t include introspection (“what do I really want”), reciting mantras and affirmations (although you can do that too) or talking to friends on the phone. It doesn’t mean reading books. Examples of action include phone calls to people who can help (such as experienced professionals in your field), attending meaningful networking events (not mechanically attending lunches), and meeting contacts for coffee. If you can’t think of a single action step, or you’re taking steps but aren’t seeing results, find a professional who can help. The sooner you get moving, the faster your fear will dissipate and the faster you’ll find yourself in a good space. Just one caution. Sometimes you’ve just been through a traumatic experience: a death of someone close to, the loss of a career you loved, break-up of a relationship, sale of a business or loss of your biggest customer. Any of these experiences require time for recovery. Each person will handle loss differently; formulas (even the famous Kubler-Ross stages) do not apply to everyone. In general, don’t make any big moves or take any big risks for at least 30 days…perhaps as long as six months. But at some point, you really do have to get off the couch and spring into action. If you’d like my help with finding a new career, click on this link to learn how we can work together. I’m not a therapist so I can’t handle the deep issues (although I can refer you to a good life coach who can). But I can help you walk through the steps that are most likely to give you a new career. 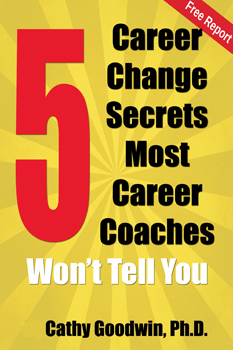 And check out the 21-Day Extreme Career Makeover – available as a kindle book on Amazon. Click here for yours.